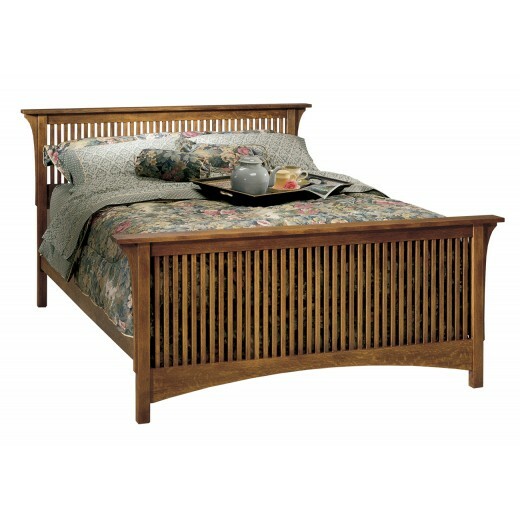 A beautiful interpretation of the Arts & Crafts Prairie style, this spindle bed is available with a low footboard option or as a headboard only. Available in solid oak or cherry. Standard footboard height is 30".